Motorcycle Crashbars Fairing Guards for Honda XL 700 V made by SW-Motech offers protection for the vital parts of your bike. 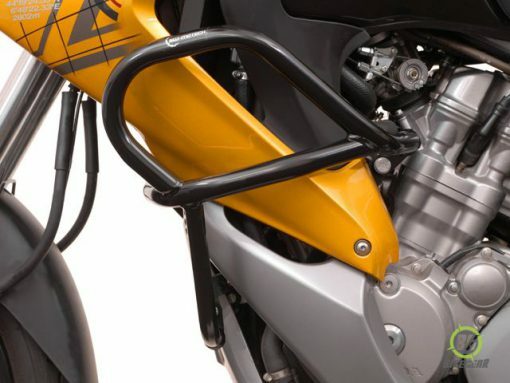 Motorcycle Crashbars Fairing Guards for Honda XL 700 V are constructed from high quality steel machined to the finest of tolerances. All components are protected against corrosion by sandblasting and powder coating. 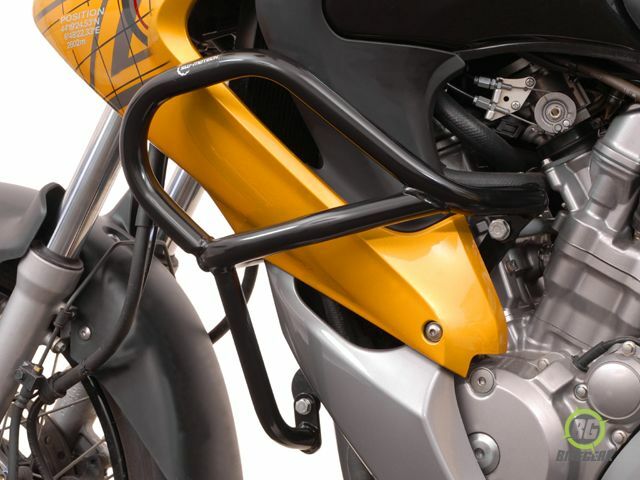 High-strength frame mounting points..No cutting or welding is required. Additional design features include a cross bar element to brace the entire system. 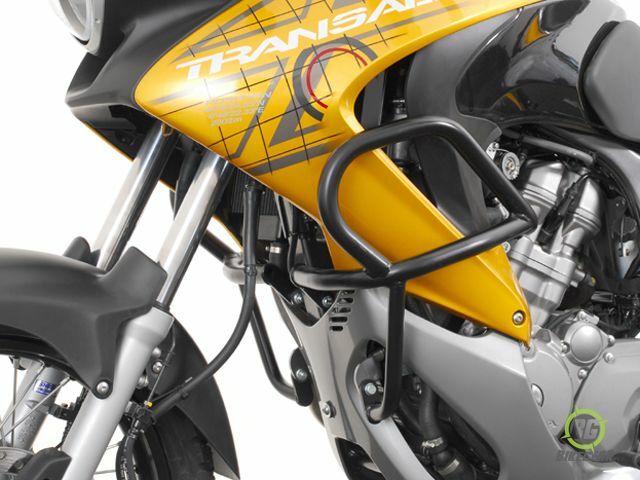 Often some manufacturers’ offerings neglect this vital element and, when their product is called upon to protect the bike, it often fails resulting in the crashbars actually being bent into the bodywork of the motorcycle. 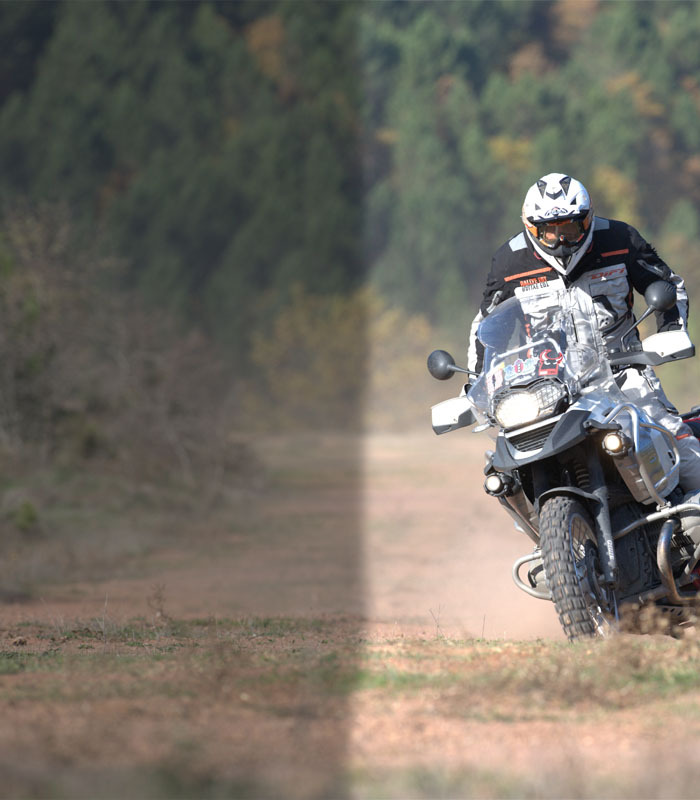 The SW-MOTECH Crashbars Fairing Guards will help protect the radiator and lower fairing of your motorcycle from on road and off road damage. Original horn holder is not applicable.